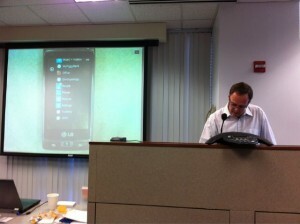 Silverlight 5 is on the way. Today (December 2, 2010) we’ve seen a brief preview, and I’d like to give a short overview of the important points. I’m giving you the short story, and if you want a complete feature list see here. Hardware accelerated video decoding. Watching videos now uses less CPU power and more GPU power. WPF people are great, but they’re always complaining about missing features:) Silverlight 5 is now closer to WPF than any previous version (including custom markup extensions and Ancestor Relative Source). People who really care about fonts aren’t crazy about Silverlight 4 font rendering. Silverlight 5 adds support for clearer fonts and other features (full OpenType font support, etc.). 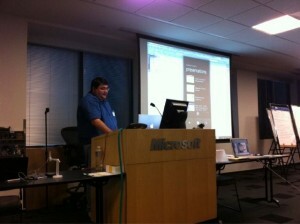 Silverlight 5 will be available in beta in early 2011. 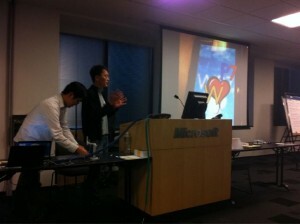 It will be released in late 2011. Thanks to Kelly White for recording and uploading this video. 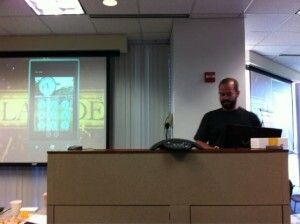 Scott Stanfield of Vertigo talks about HTML5. It’s a great primer. Scott Stanfield on HTML5 from Portland Silverlight User Group on Vimeo. If you’re interested in more talks like this, swing by the Portland Silverlight User Group. 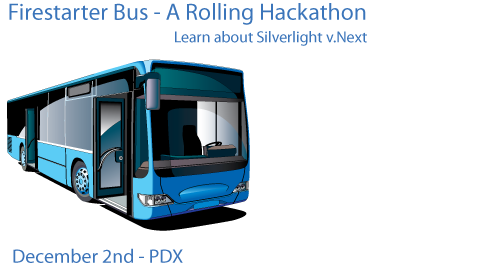 The Silverlight Tour is returning to Portland December 6th-December 8th. 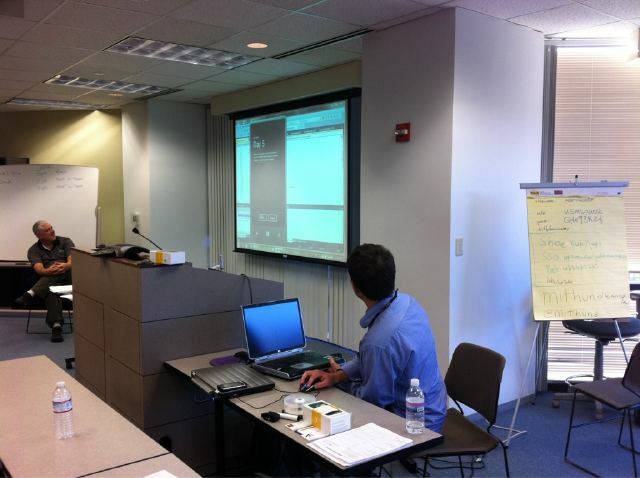 It’s a great way to learn about Silverlight. I’ve been informed that the class is filling up early. If you want in, you’d better register soon. 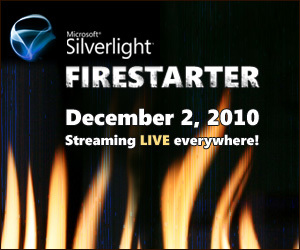 Ever wanted to see Scott Guthrie announce a new version of Silverlight… live? If you’re in Portland, we’ve scored some transportation. Primo transportation. There’s talk of food, drink and wifi. December 2nd, we go to Redmond. The Gu is back. Register now. 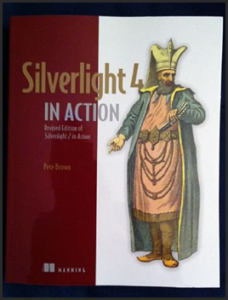 Book Review: Silverlight 4 In Action. Buy it. Silverlight 4 In Action is Available!!! It’s really clear. Rare is the technical book that reads this well. It’s really complete. Rare is the technical book that covers this much material in style. It has tidbits. If you know of Pete Brown, you know he knows Silverlight inside and out. This books surfaces that knowledge in a really interesting and compelling way. It’s not really a cookbook. If that’s what you need, look elsewhere. *Anyone* who is interested in Silverlight. You want it on your bookshelf. The Bellevue Unleashed event was great. It was our biggest yet! The day looked like our other events (lecture and hands-on-labs followed by an application contest). 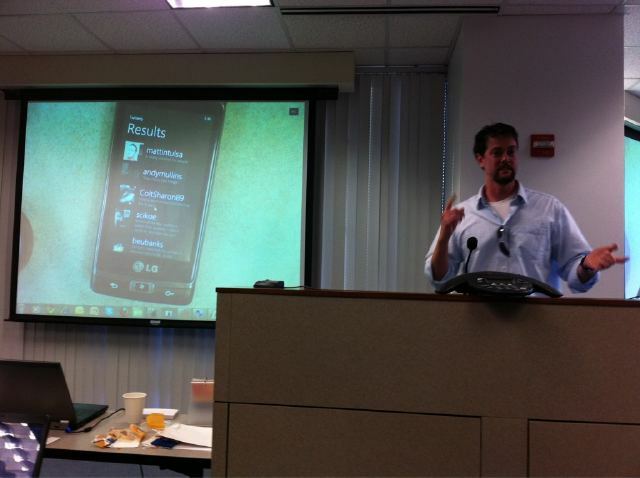 At this event though, David Kelley was able to join us to talk about Blend and Ux design. 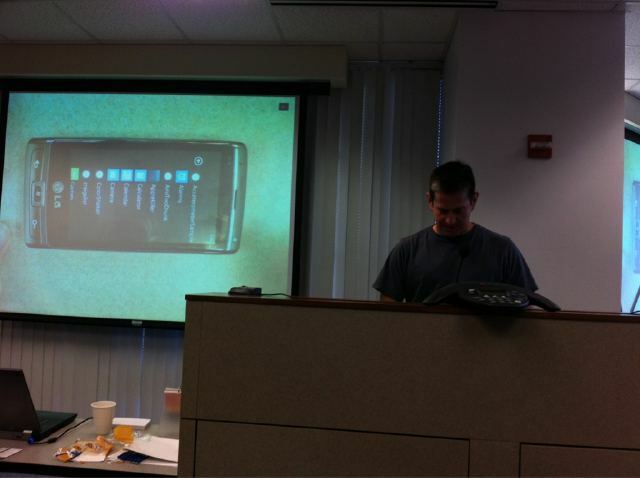 Those two facets are soo important to apps that will sell well. 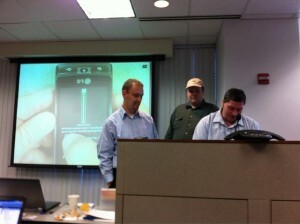 The contest was the most exciting part of the day, and we had some great entries. 1st place - I’m loving WP7. A pandering name perhaps, but what a game. It looked super hard. And super fun. And used the accelerometers! 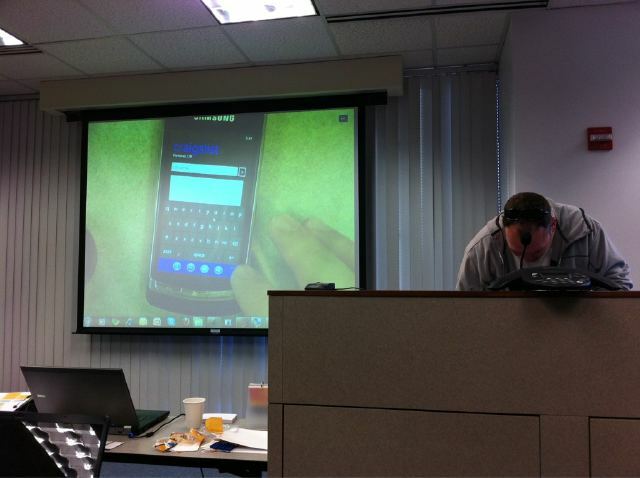 2nd place – Powerpoint Remote. Pretty much exactly what it says. 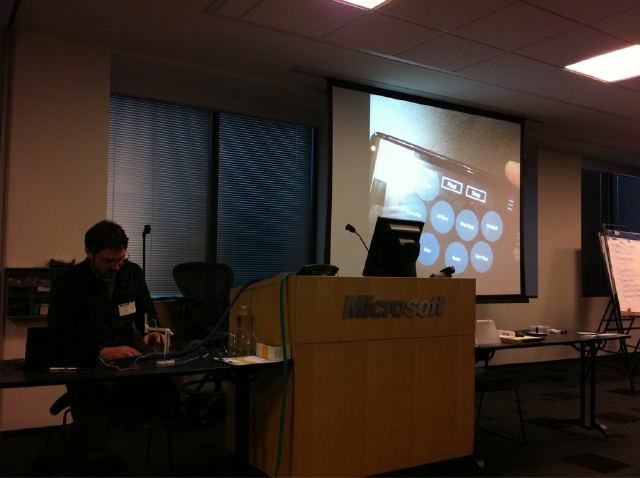 Imagine controller powerpoint from Windows Phone 7. 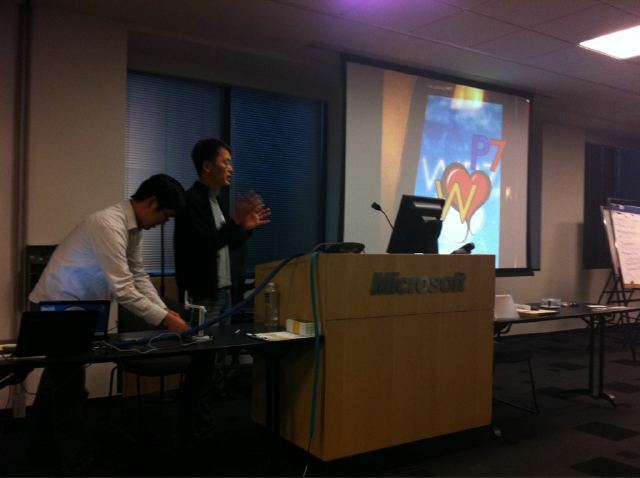 A favorite in the Apple store and will be in the Windows Phone Marketplace (we hope). 3rd Place – Lockdown. Run this app. Put the phone in your glove box. Bam. Lojack. Bosstinator – Estimates projects for your boss. Episode Finder – What’s that episode where Jane is a hero on that mud planet? Oh, it’s called Jane’s World!!! Megamillions – Ever want to win a million bucks? This app will tell you the right number to play in the lottery. Well worth any price they decide to charge for it. Nimby – Search Zillow for home price index. Get out of bad neighborhoods fast! Thanks to everyone who came! I think everyone had a great time. Special thanks to our amazing sponsors! Register now as seating is limited. Portland sold out, and I would expect others will, too. What did the day look like? It was a giveaway of a seat on the Silverlight Tour course. 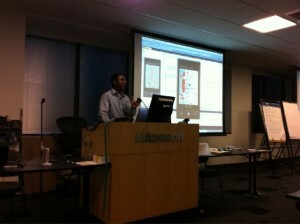 It was sessions on sensors, navigation, web services, push notifications, launchers and choosers, etc. It was a Hands On Lab where everyone got to build a real Windows Phone 7 application. But best of all, it was an app building contest. 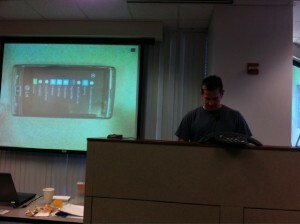 We worked really hard so everyone could have a chance to deploy their apps to an actual device. The apps that were created were pretty amazing. 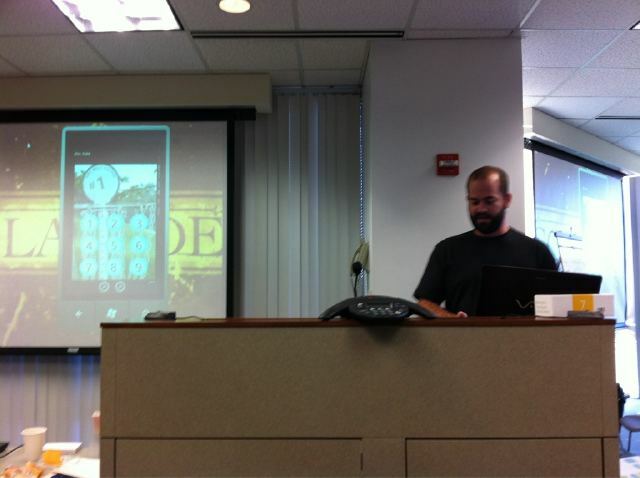 And some of them are pretty nearly ready for the app store… It was a jaw dropping contest. 1st Place – Dawg application. This application was created by an individaual with 0 previous .Net experience! 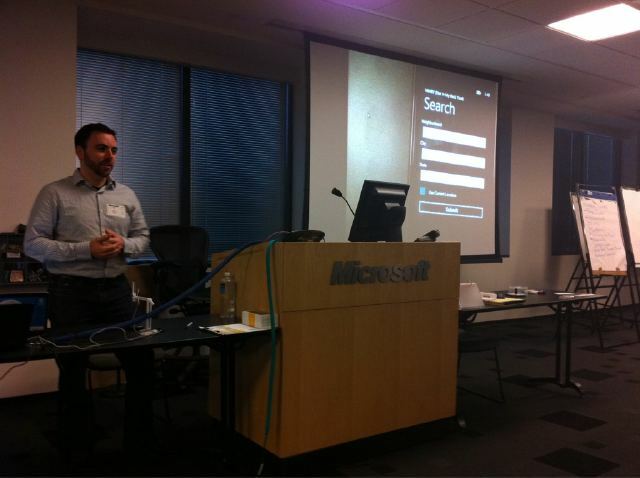 It allows a user to interact with Craigslist and had *tons* of features. 2nd Place – Zoo Pals. This app is a great idea. I hope it makes it into the app store err Marketplace. Your kids get to take picture of zoo animals and put them over cartoony animal pictures. My piggy bank. I missed the action shot on this app, but it’s another one for kids! It keeps track of piggy bank totals to avoid kid fights. My baby. Info about pregnancy (what happens in the 2nd trimester and… that kind of stuff). Caddie Mate. Who needs a caddie with this application? Well except to carry stuff. Color Shaker. Shake the color out of pictures. Another one that’s great for kids. Twitterly. 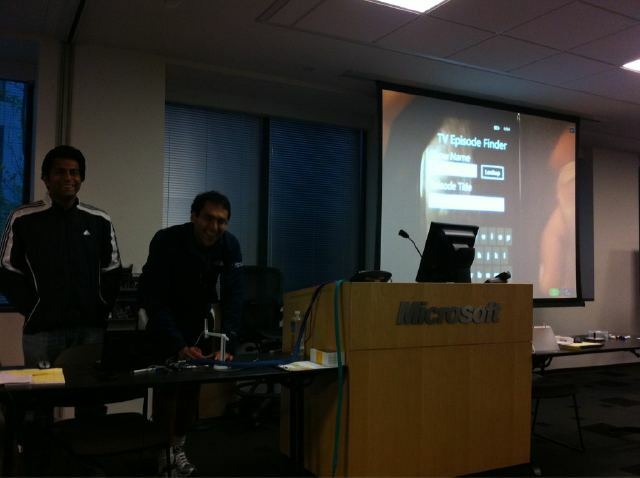 What hackathon would be complete without Twitter? This app (among other things) shows tweets that happen in close proximity. The Tweet is coming from inside the house! Thanks to everyone who came! It was a super day. 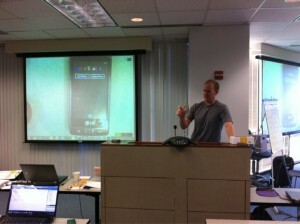 Windows Phone 7 Unleashed is a free day of Windows Phone 7 training. We’re coming to Redmond, WA. 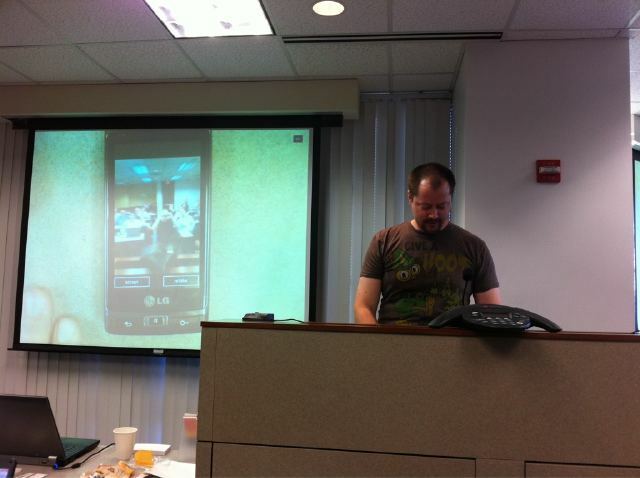 This is a combination hackathon/training. It’s meant for people who code and want to get a jump start at development on the new platform. It’s a BYOL (Bring Your Own Laptop) event. Registrations are limited so make sure you get signed up soon. Windows Phone 7 is about to be released! 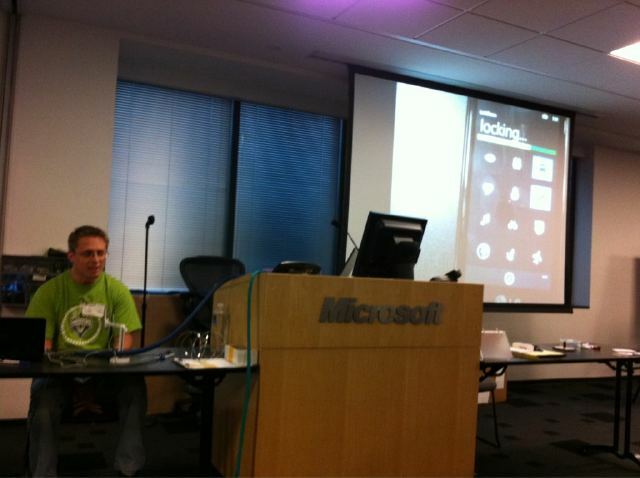 Come check out Windows Phone 7 Unleashed for everything you need to know to develop for WP7. Whether you’re a seasoned veteran or you’re just starting with .NET development, there’s something in it for you. 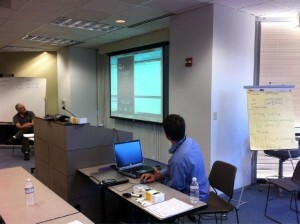 The first half of this deep dive event is lecture and hands on lab. 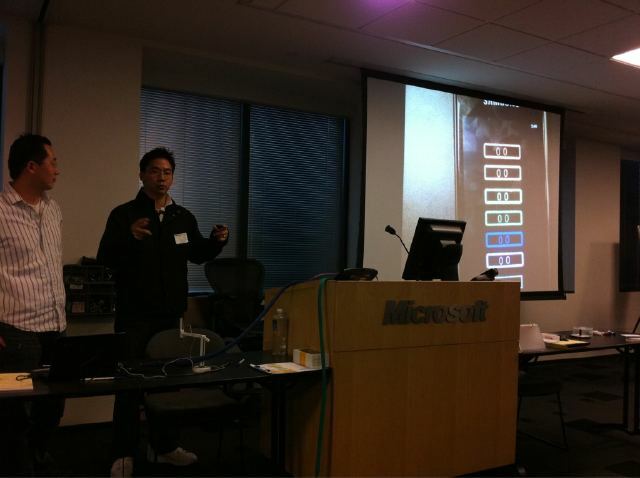 At the half point mark of the day, you’ll have a solid foundation for building WP7 applications. 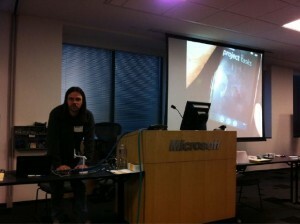 Here are some easy instructions for getting going with Windows Phone 7 development. 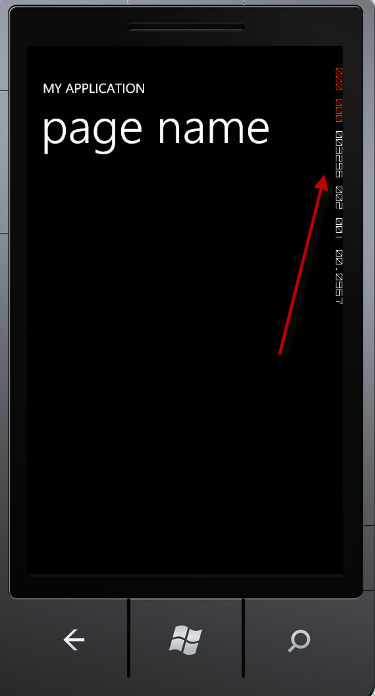 If you’ve installed betas or any earlier phone tools, go to the “Programs and Features” control panel and search for “phone”, “visual”, etc. and uninstall all of the old phone tools and emulators. 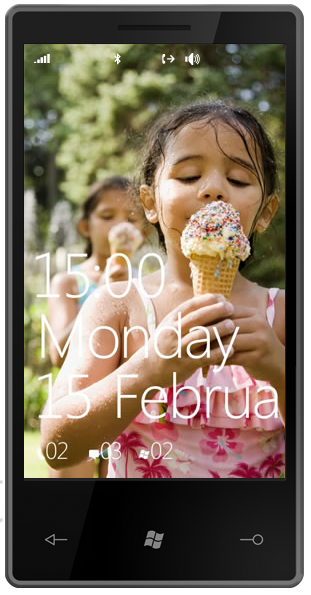 The Phone tools installer will download and install the necessary components. But it takes a while. If you don’t already have Visual Studio installed, Visual Studio Express (a free edition of Visual Studio) will be installed. There are all kinds of goodies that need to be downloaded and put onto your machine. Best to find something to do while you wait. The direct link for the install page is here but beware this may change in the future as new versions are rolled out For right now, you can download all of the developer tools in an .ISO for burning to a DVD/direct mounting. These can be super useful for training scenarios. 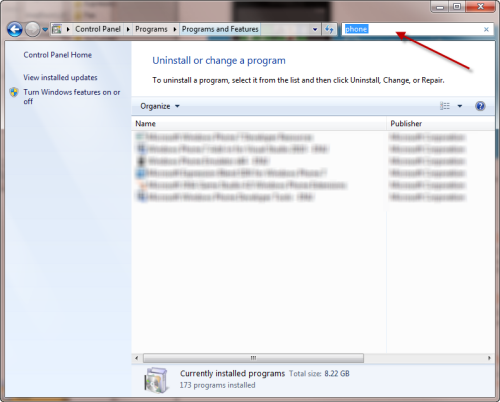 Either the one you already had installed or the Express edition that was installed for you. 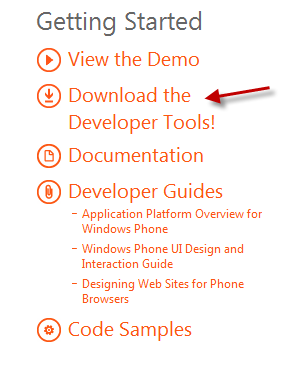 On the left pane, select “Silverlight for Windows Phone“. On the Middle pane select “Windows Phone Application“. Press OK. Wait a few seconds and Visual Studio will generate your new project. Press the F5 key and wait a few moments. 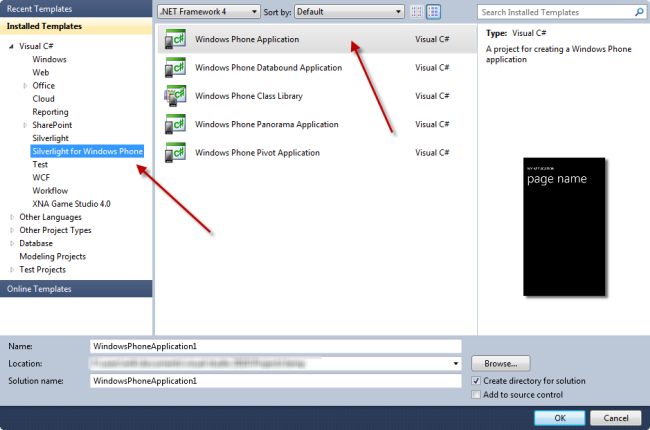 Visual Studio will build your application, start the emulator, deploy your application to the emulator and begin running. You should see something like this. Notice the goofy numbers on the right hand side. These may or may not be present (it depends on the template you use). These are normal, and they’re there for debugging purposes. Thanks to PHenry for pointing this out. 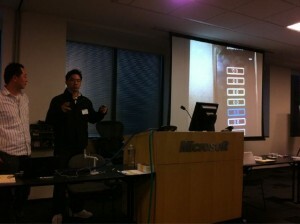 The Windows Phone 7 Unleashed events.